New Mexico wines are better than ever. Who knew? The ever growing Annual New Mexico State Fair Wine Competition was held on June 22. There was a large turnout of roughly 170 entries from every corner of the state — and some parts between. Twenty-five judges gathered to taste and judge what they deemed to be the best of New Mexico wines. The New Mexico State Fair Competition has been held for the last 37 years and has grown steadily. What started out to be almost exclusively entered by amateurs has grown to nearly 75 percent commercial-based entries. 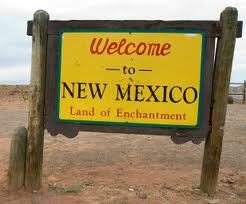 Here are the accomplishments of several of the New Mexico Wineries in 2013. The Gold Medal Premier Award was earned by Southwest Wines with its’ 2010 D.H. Lescombes Cabernet Sauvignon. There were seven Gold Medal “Best of Show” awards given to Heart of the Desert’s 2012 Gewurtztramner, La Chiripada’s 2010 Wine Makers Select Red, Matheson Winery’s Tres, Noisy Water Winery’s 2010 Shiraz, Ponderosa Valley Winery’s 2012 NM Riesling and Southwest Wines 2012 St. Clair Malvasia Blanc. Six Gold Medals were awarded to Camino Real Winery’s 2012 Cranberry Mead, Luna Rossa’s Conquistador, Ponderosa Valley’s 2006 Reserve Red, Smiling Horse Winery’s Blueberry Wine, Southwest Wine’s 2012 D.H. Lescombes Brut and 2012 St. Clair Bellisimo.